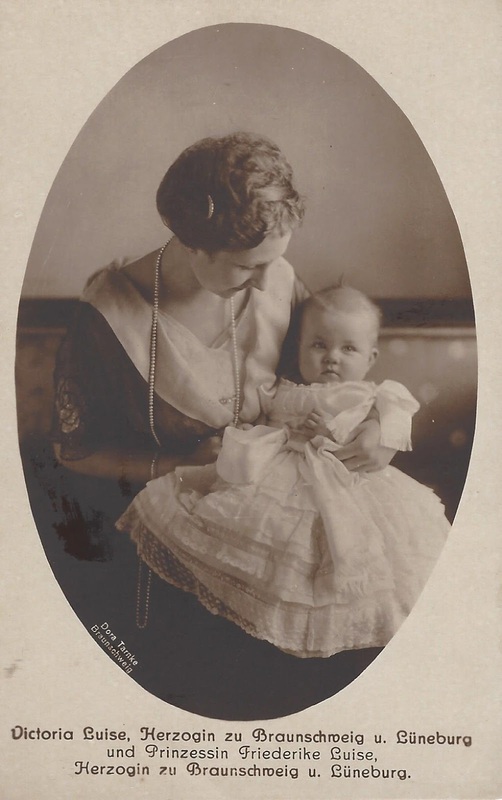 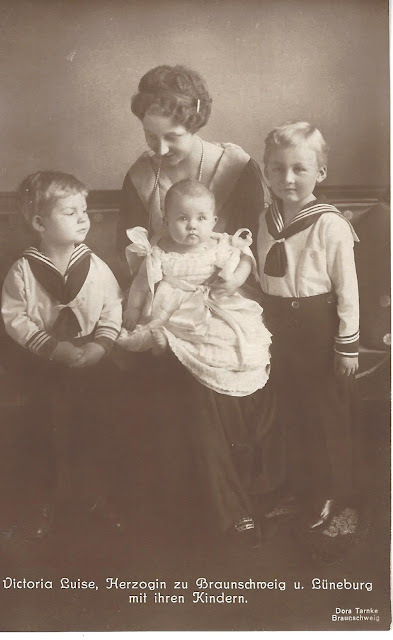 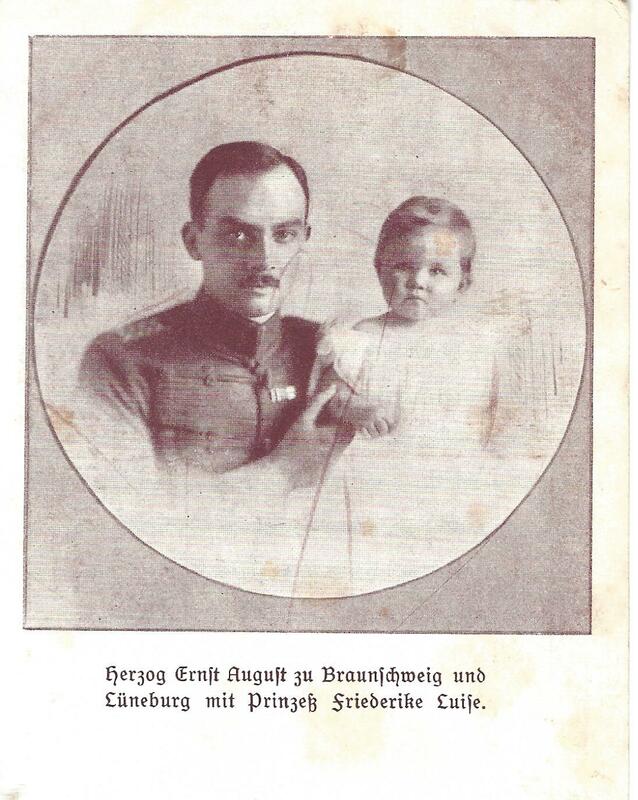 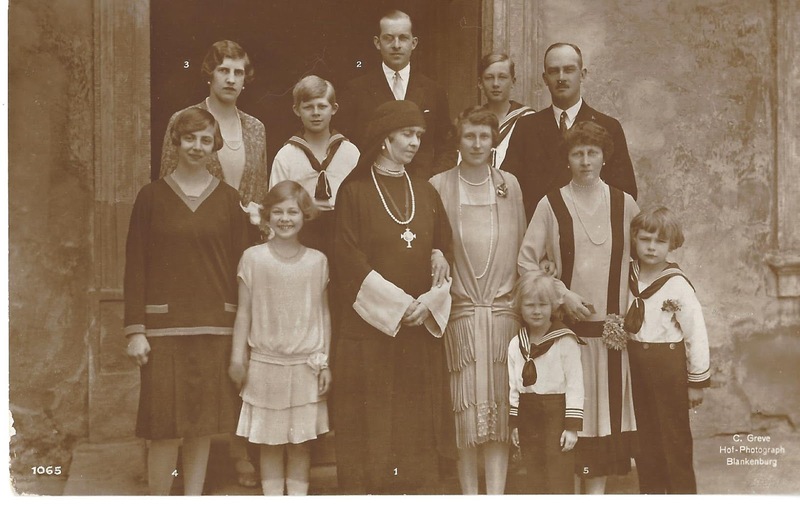 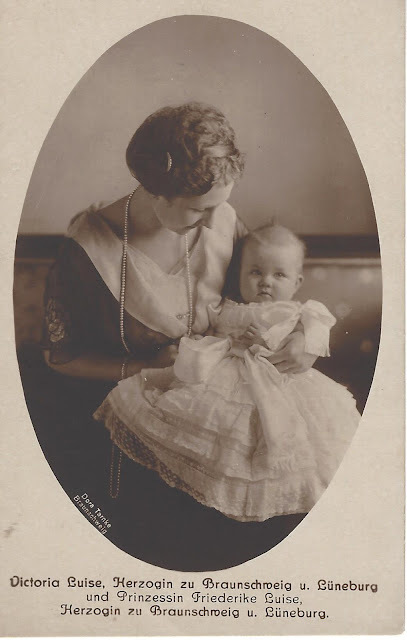 On April 18, 1917, the Duchess of Brunswick und Lüneburg gave birth to a daughter at Blankenburg. 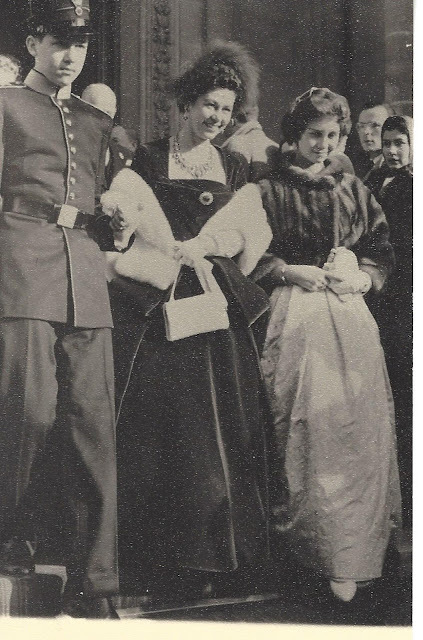 Princess Viktoria Luise of Prussia, the only daughter of Kaiser Wilhelm II, married Prince Ernst August of Hannover, Duke of Brunswick-Lüneburg on May 24, 1913. 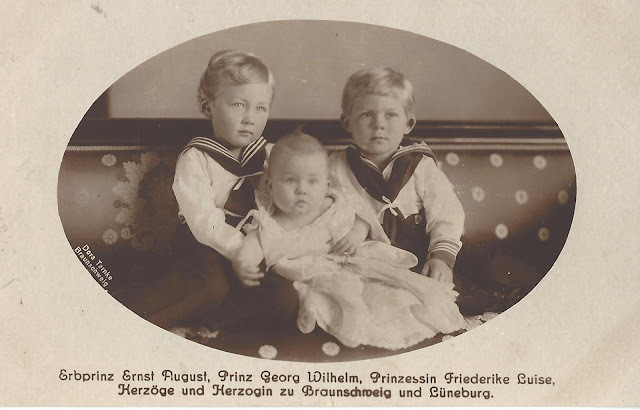 Their marriage was the last event where George V of Great Britain, Nicholas II of Russia and Wilhelm II of Germany met before the outbreak of the first world war. 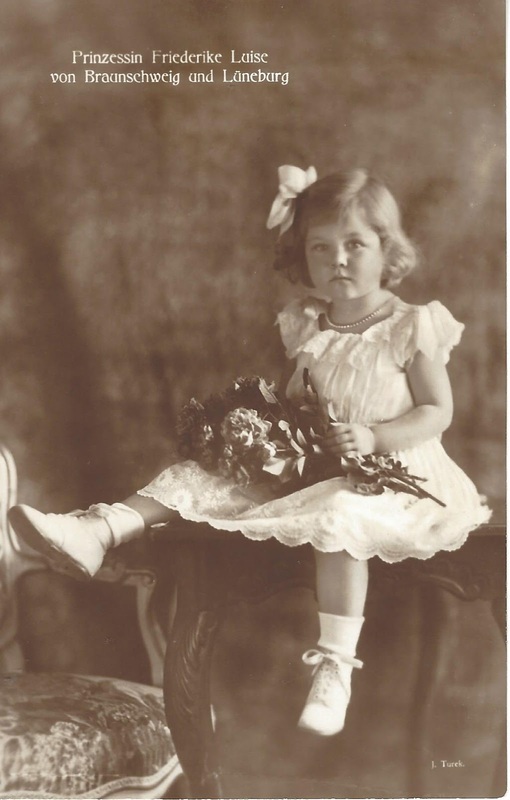 The infant princess was the third child and only daughter for the couple. 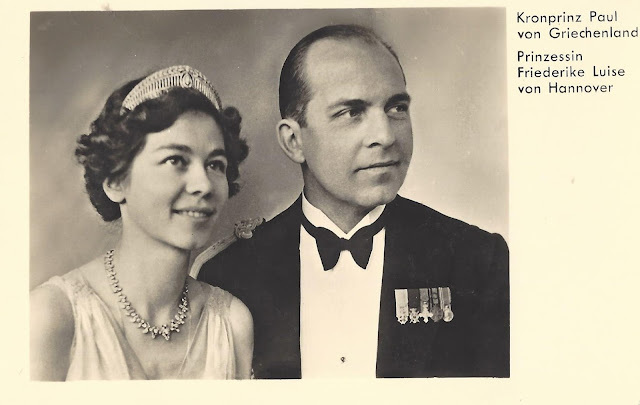 She was given the names Friederike Luise Thyra Victoria Margarita Sophia Olga Cecilia Isabella Christa. 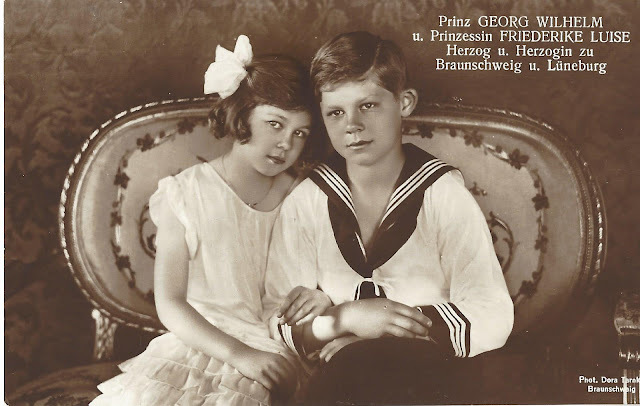 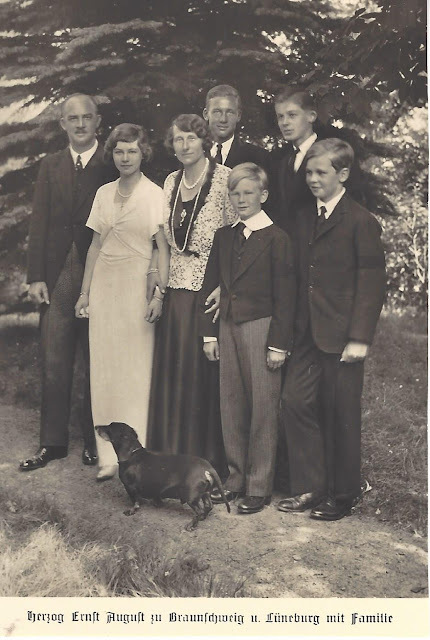 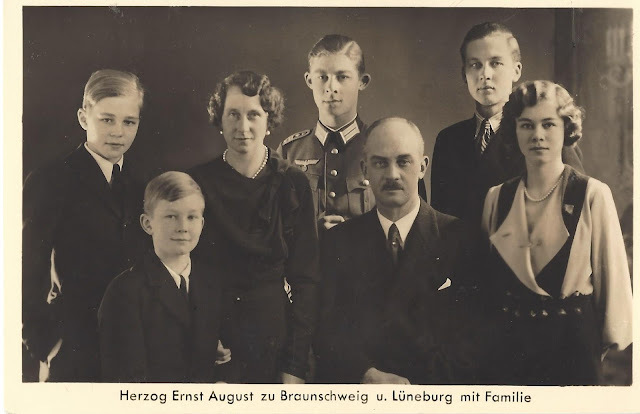 The first name honored the Duke of Brunswick und Lüneburg's aunt, Princess Friederike (Frederica) of Hanover, whose marriage to Baron Alfons Pawel von Rammingen, caused a bit of strain within the family. 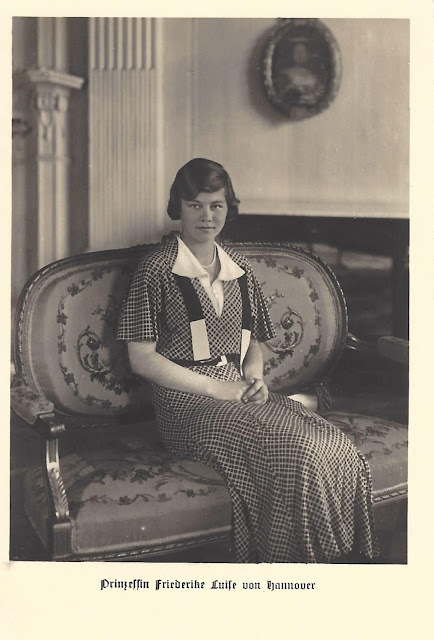 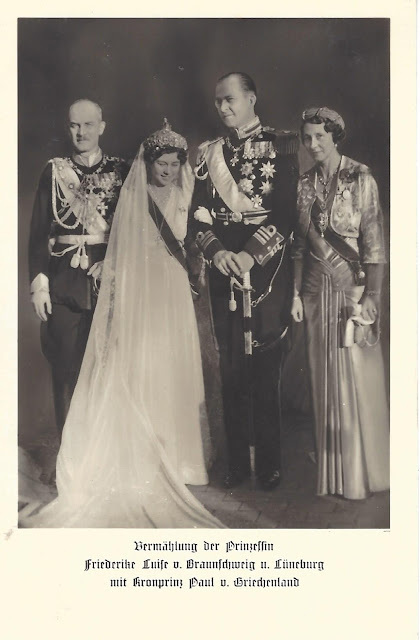 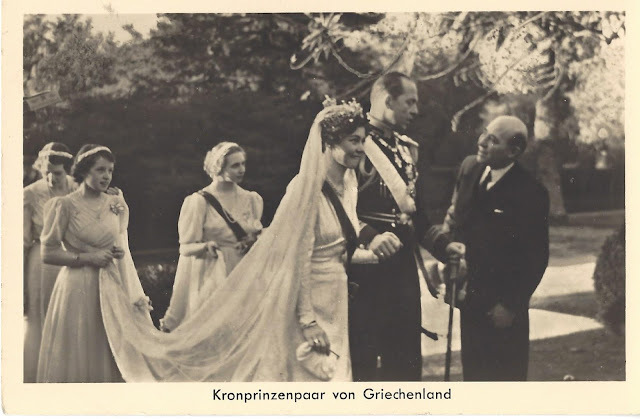 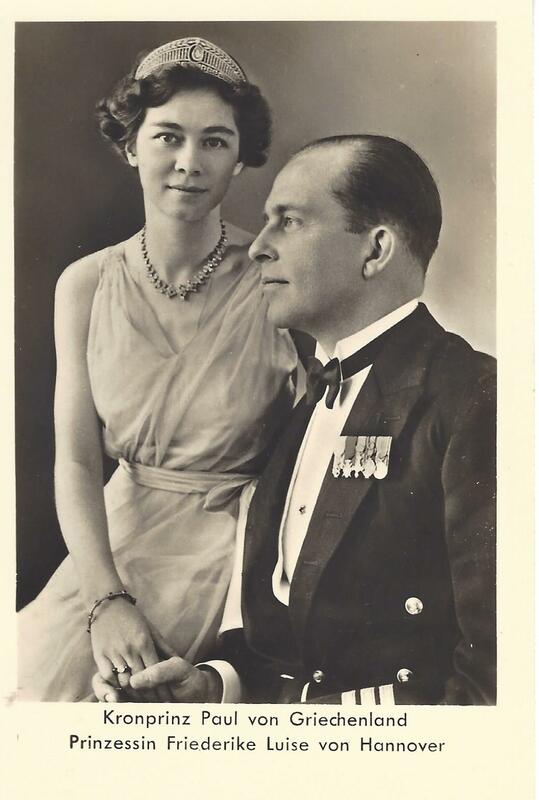 Friederike married Crown Prince Paul of the Hellenes on January 9, 1938. 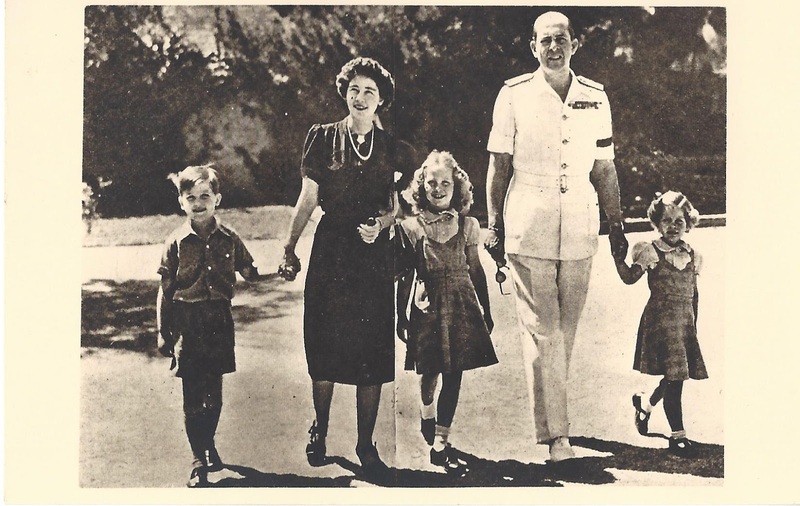 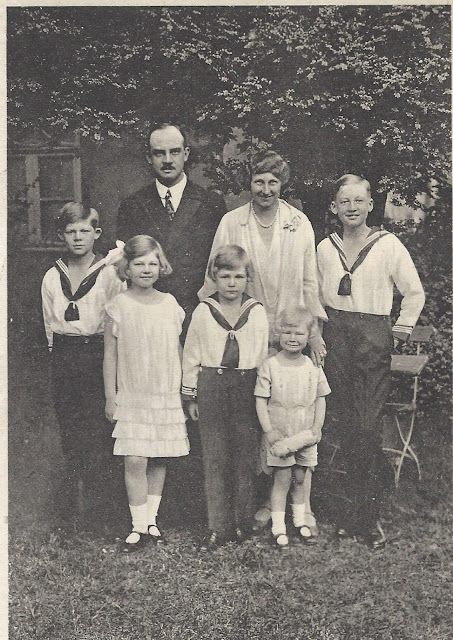 They had three children: Sophie (1938), Constantine II (1940) and Irene (1942). 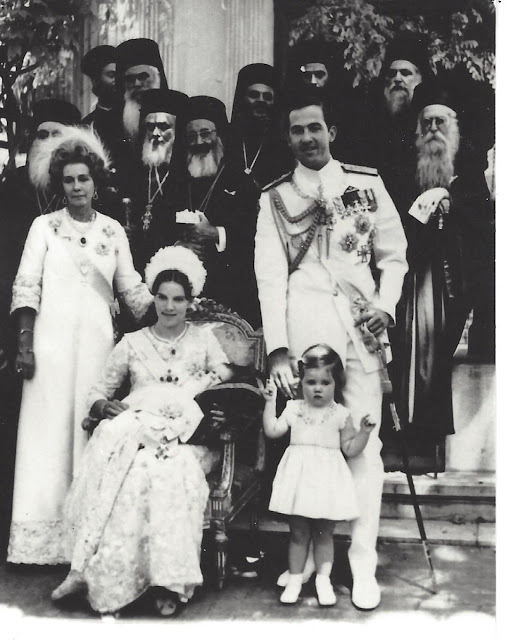 Paul succeeded his brother, King George II, on April 1, 1947, less than a year after the Greek monarchy was restored. Paul was the Duchess of Brunswick und Lüneburg's first cousin. His mother, Queen Sophie of the Hellenes, was Kaiser Wilhelm II's younger sister. King Paul succumbed to cancer on March 4, 1964, and was succeeded by their only son, King Constantine II. 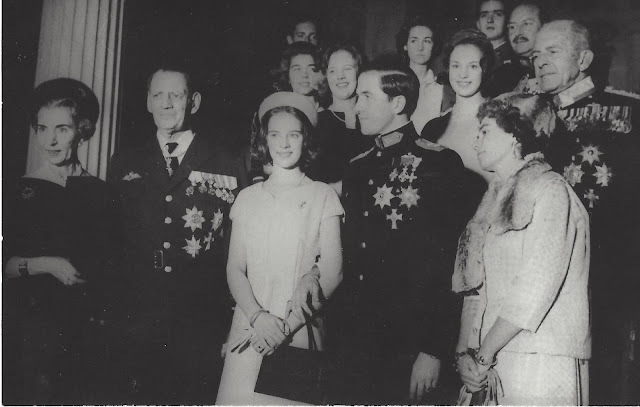 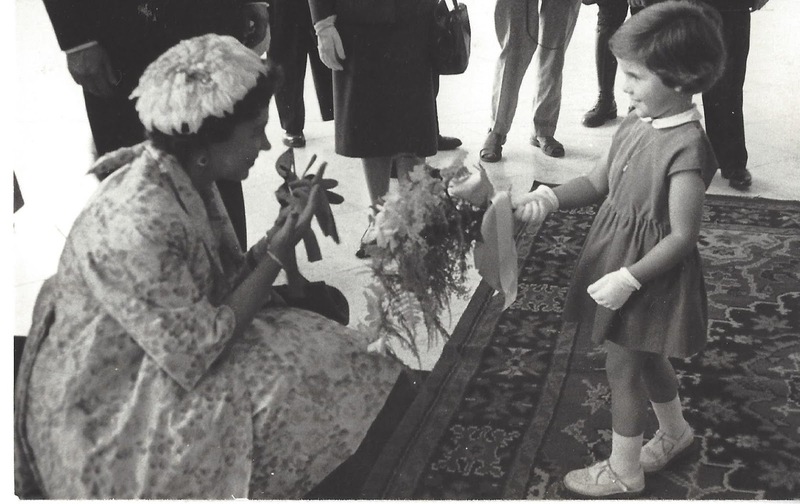 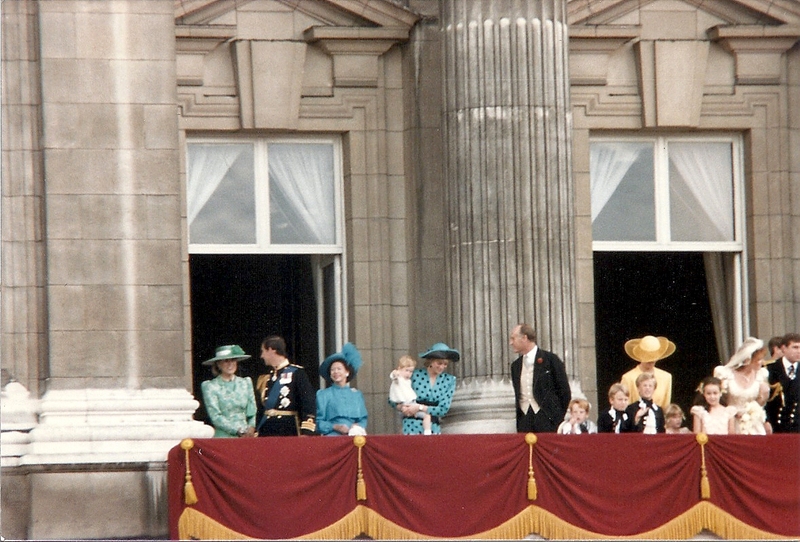 The royal family went into exile in December 1967, following a counter coup against a military dictatorship that took power in April of that year. 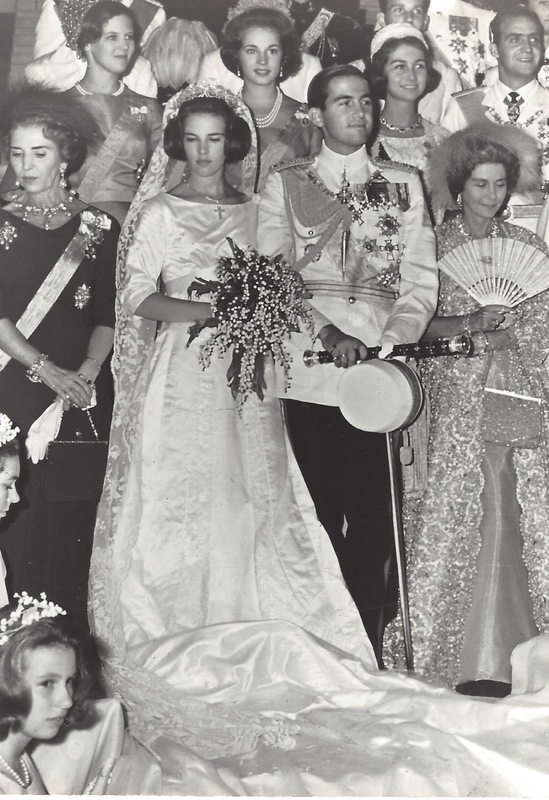 While undergoing ophthamlic surgery in Madrid on February 6, 1981, Queen Frederica died. 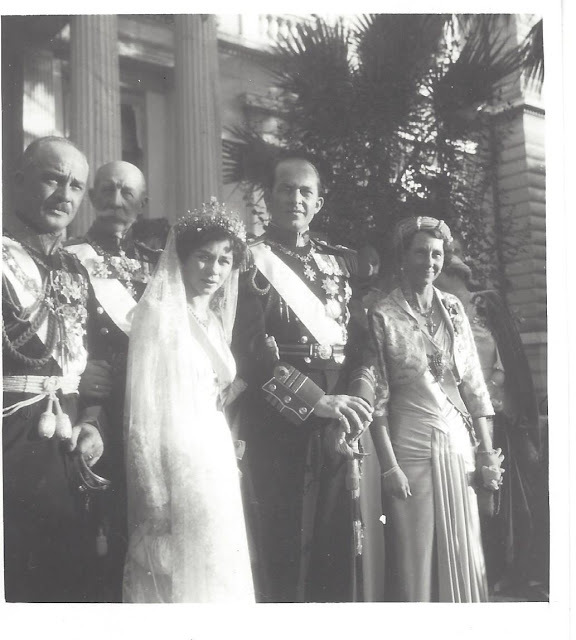 She was buried at Tatoi. These images are all from my personal collection. 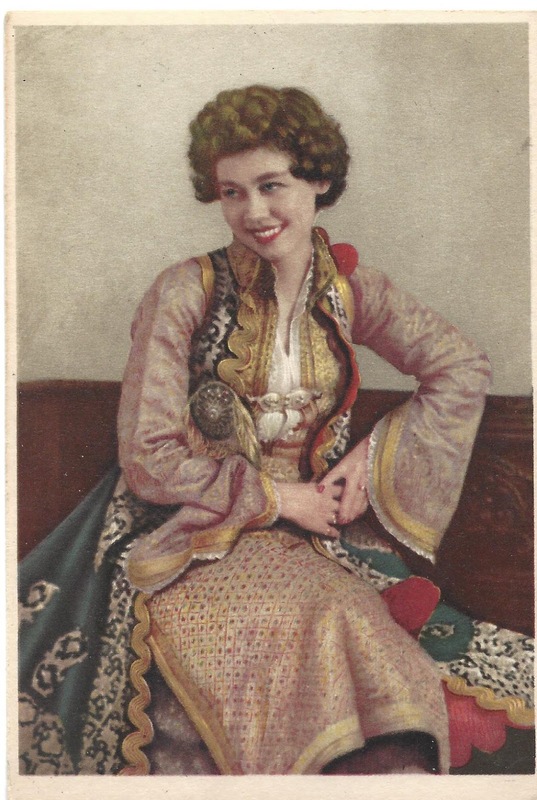 Seemingly lovely lady, thank you for sharing this post. 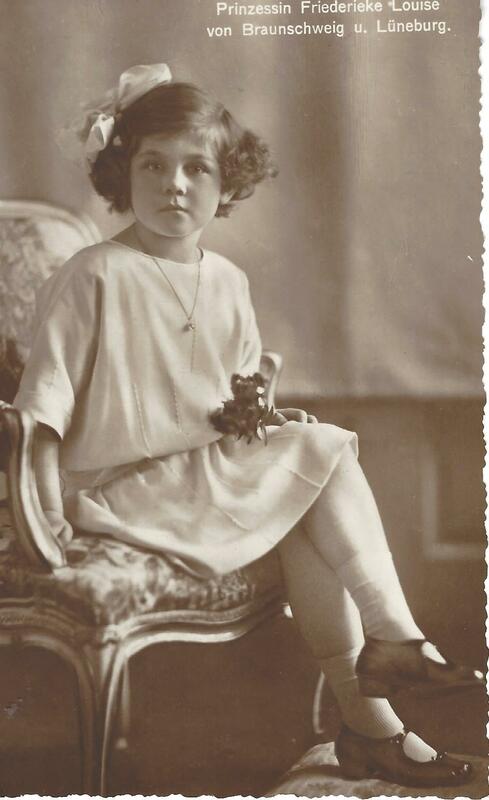 I'm always intrigued by Victor Hugo's description of her: "She was as good as she was bad. 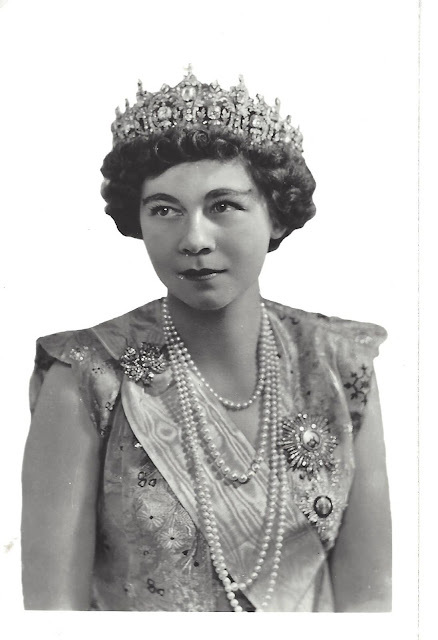 Queen Frederica's charm is notorious and deceptive!" 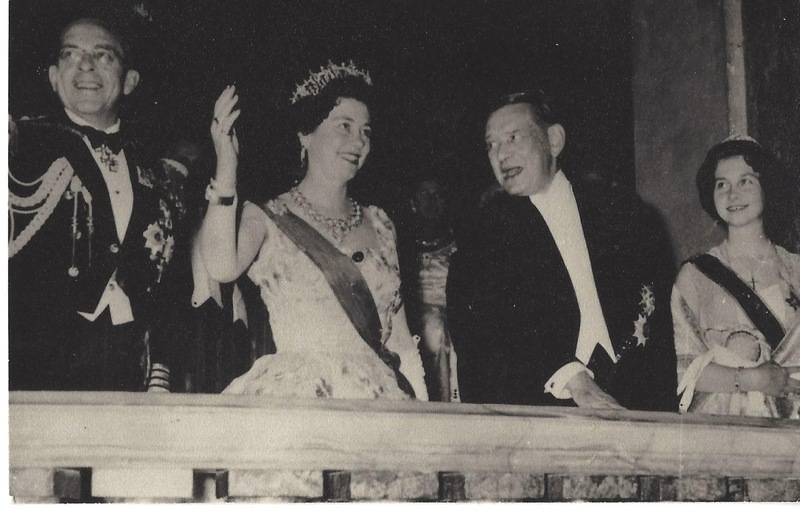 It's Hugo Vickers rather than Victor Hugo, I guess. Unless you've got Queen Frederika and Esmeralda mixed up !